Seattle Police closed several blocks on Capitol Hill Sunday afternoon while investigating a suspicious package outside the department’s 12th and Pine East Precinct. Police deployed a robot to investigate what appeared to be a black suitcase on 12th Ave just south of E Pine. Police said streets would be closed periodically in the area as the investigation continued. UPDATE: A SPD officer picked up the package around 1:45 PM. Police began reopening streets to pedestrians and letting residents back inside buildings. The time has come for the Real World cast and crew to pack up and bid farewell to Capitol Hill. Filming has wrapped for the 32nd season of the reality TV show that will feature a group of strangers living and partying on Capitol Hill, according to fan sites tracking the production. 18 years after the first season in Seattle, Real World producers staked out a new set in the 12th Ave Ballou Wright building between Pike and Pine. The office space-turned-Real World house was previously occupied by digital design firm Creature, which filed for bankruptcy shortly after leaving the space in May.MTV representatives have not returned calls on the status of the production. A representative for building owner Hunters Capital told CHS the space will likely be put back into use as an office. The show’s production company leased the space through September. In the latest chapter from the fallout of a crumbled family of food and drink businesses, two Eastside real estate professionals have taken over Tavern Law, one of the pillars of Pike/Pine’s craft cocktail scene. Mark O’Shea, a Bellevue property manager, recently bought the business along with Derek Straight, a former executive with a large West Coast housing developer. O’Shea confirmed the ownership change with CHS but we are still waiting to hear details on the duo’s plans for the 12th and E Madison bar. A 22-year-old man was arrested in Pike/Pine early Monday for stealing a cell phone from a pedestrian after officers watched him do it, according to Seattle Police. Officers also found a backpack allegedly connected to the suspect with more cell phones inside. Two bike patrol officers were stopped by a man at the 900 block of E Pike around 2 AM Monday who said another man had tried to take his cell phone. As the victim was finishing his interview with police, he identified the suspect across the street. According to SPD, officers watched the suspect approach a group of people who then quickly scattered. Those in the group told officers the man had just stolen a cell phone from one of them. Officers followed the suspect to the 11th Ave parking lot of the Central Lutheran Church where he was arrested for robbery. Meanwhile, another phone grab Sunday night went better for the thief. Police were called to a Broadway burger joint late Sunday to a report that a phone thief had entered the restaurant and took off running with a patron’s phone. There were no arrests. 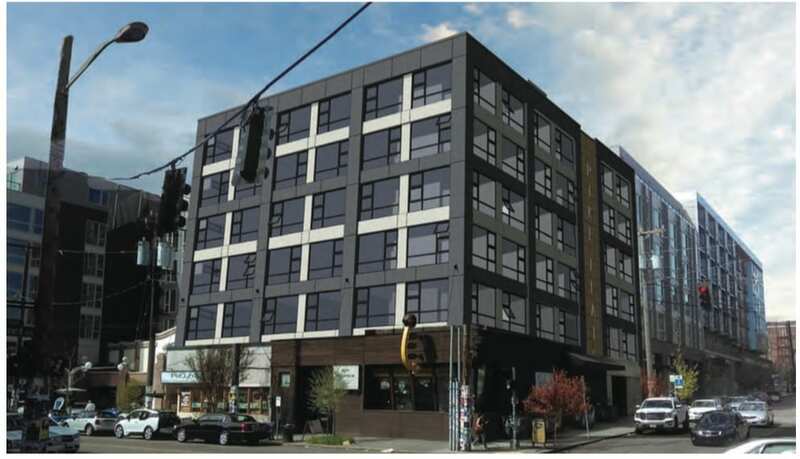 Capitol Hill developers do not have to preserve the neighborhood’s oldest buildings to reap the construction benefits that come with that preservation — they can buy those perks, too, as Johnson Carr plans to do for its planned seven-story development at the corner of Pike and Harvard. Someday, you might call it the 95 Slide building. Kids will look at you like you’re old and crazy. That’s the Pike Flats building, old timer. 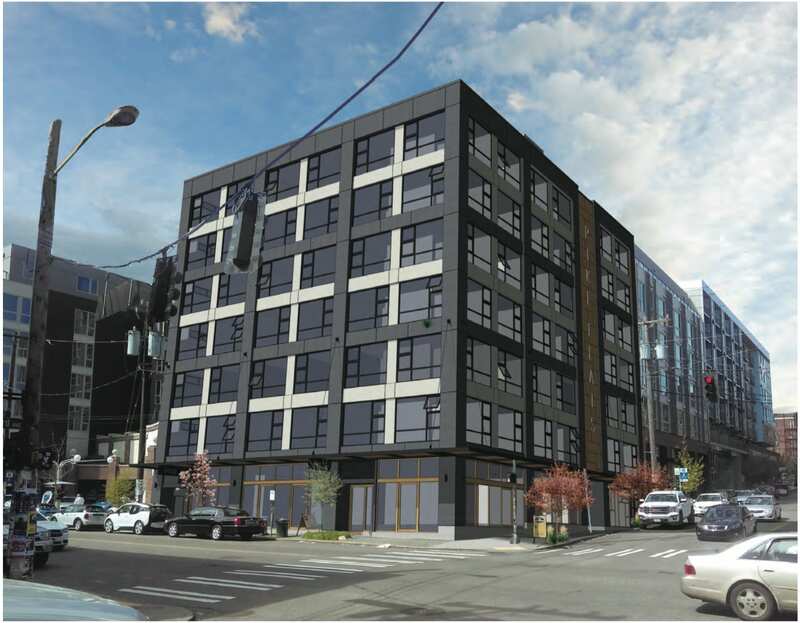 The preservation perks without preservation plan will be on the table Wednesday night as the East Design Review Board takes what will likely be its final look at the project. If you want to unwind after a long day and get your hair trimmed at the same time, never fear: Rudy’s Barbershop is looking to join the beer and haircut bandwagon. Rudy’s has applied for a license that would allow the chain to serve beer at its Capitol Hill shop on E Pine, according to a Rudy’s spokesperson. If approved, the Rudy’s at 614 E Pine will be able to serve beer in addition to its current offerings, Stumptown coffee and Jones Soda. The E Pine shop will not be the only barber on Capitol Hill planning to offer beer in addition to haircuts. 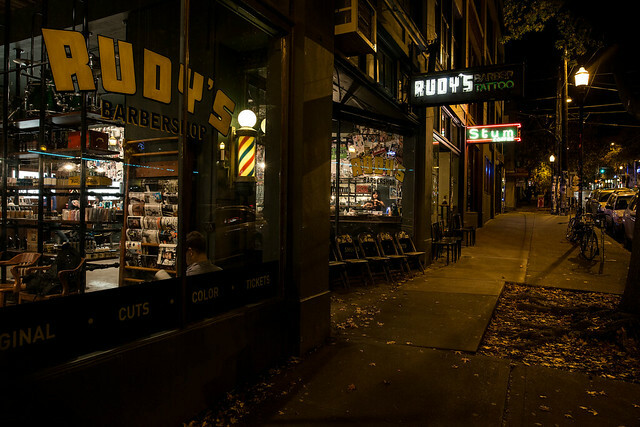 Portland based Bishops said it will offer complimentary beer with haircuts when it announced its plans to join the neighborhood, and the Rudy’s that opened in Pioneer Square this summer has been selling beer from the get-go. “Pioneer Square was our pilot, and so far it’s gone super well,” said the spokesperson. Rudy’s says its decision to add some harder stuff to the menu has nothing to do with keeping up with the competition. “It’s something we’ve always wanted to do,” the spokesperson said. CHS reported on Monday’s opening of MRoom, yet another hair concept targeting the lucrative male grooming market on Capitol Hill. If the license is approved, Rudy’s plans to offer a few types of New Belgium beer, plus some local favorites like Rainier and PBR, for around $3.50 per bottle. As Seattle Pride participants put the finishing touches on their floats and costumes, a more somber preparation for this year’s celebration will also be underway. City officials are encouraging LGBTQ venue owners, bouncers, and event planners to attend a training next week in the wake of Sunday’s mass shooting at an Orlando gay nightclub that left 50 people dead. Seattle Police will hold two trainings at the The Cloud Room coworking space at 11th and Pike after Seattle’s Office of Film and Music rushed to organize the events before Pride next weekend. Faced with limited street space and growing popularity, producers of the Capitol Hill Block Party are slightly expanding their footprint in 2016 with a new slate of programming inside neighborhood venues. As part of Tuesday’s full band lineup announcement for the July 22-24 event, CHBP also revealed how it may continue to grow one of the few ticketed music festivals that takes place on a city’s public streets. This year’s event will include free nightly shows at Unicorn, daytime performances and Sunday morning yoga at Chophouse Row and a poster show in conjunction with the Capitol Hill Art Walk. As usual, the 20th anniversary of the three-day event will bring a mix of big indie acts that won’t completely overwhelm the handful of dense Pike/Pine blocks. Tuesday’s full lineup announcement included the addition of rapper Mick Jenkins and the band Washed Out, who recorded the summery theme song to the TV show Portlandia. The candidates running to represent the 43rd Legislative District agree. When it comes to specific policy positions, there are few notable differences between them. While the first debate of the race was hardly confrontational, it did offer a chance to see candidates respond to questions on the fly and under pressure. Seven candidates are vying to represent the 43rd district in Olympia, which includes Capitol Hill north of Madison. The six Democrats in the race gathered Sunday evening for a Democrat-sponsored debate at Capitol Hill’s Northwest Film Forum (the seventh candidate, John Eddy, was not invited as he is running as an independent). Prior to last week, the race was perhaps most notable outside the 43rd for the possibility of electing the first trans woman to public office in Washington state. Since Danni Askini dropped out Friday, the field of candidates remains refreshingly diverse. Still, there is only one woman in the race, which prompted co-moderator Michael Maddux to ask the men how they would add diversity in the Legislature. The “two straight white dudes” in the race, Scott Forbes and Marcus Courtney, said the race should come down to values and both said they have long supported LGBTQ and women’s rights issues. As the former chair of the 43rd District Democrats, Forbes positioned himself as a well seasoned political insider and the candidate who would do the most to build Democratic party power. In a candidate field filled with progressives, Courtney, a longtime tech industry labor organizer, struck a more populist tone when calling for an end to corporate loopholes and decrying income inequality in the state.